Once the University has formally been notified of an emergency and the decision to activate the plan has occurred, response assets will be deployed. The University will activate personnel via its cAlert system. The cAlert system sends an activation message through a variety of media including phone, text, and email. Recipients are asked to respond to verify they have received the message. In the event the cAlert system in unable to be used, the University will alternate activation systems. Depending on the size and scope of the emergency, the Emergency Director may activate the Emergency Operations Center (EOC). The EOC will be staffed with individuals that are experienced or knowledgeable in each emergency function identified within the EMP. Personnel assigned to the EOC will be notified via the cAlert system. 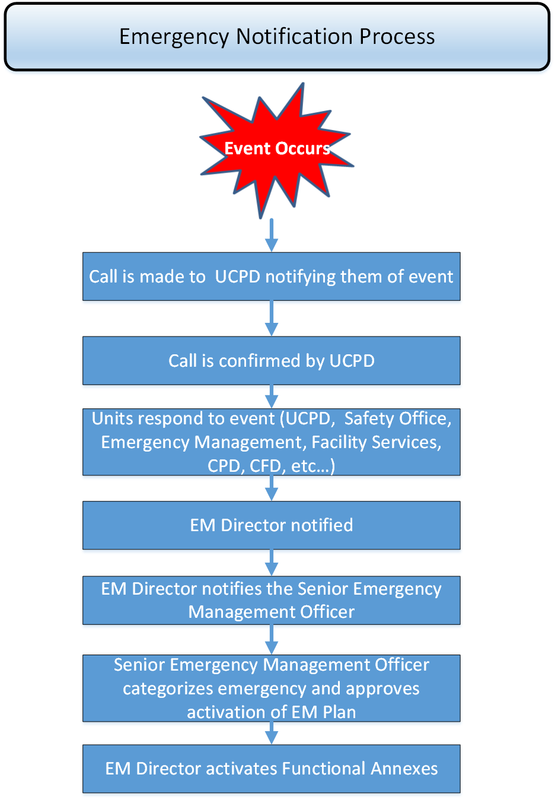 The number of functions and personnel activated for EOC duties will vary depending on the nature of the emergency.